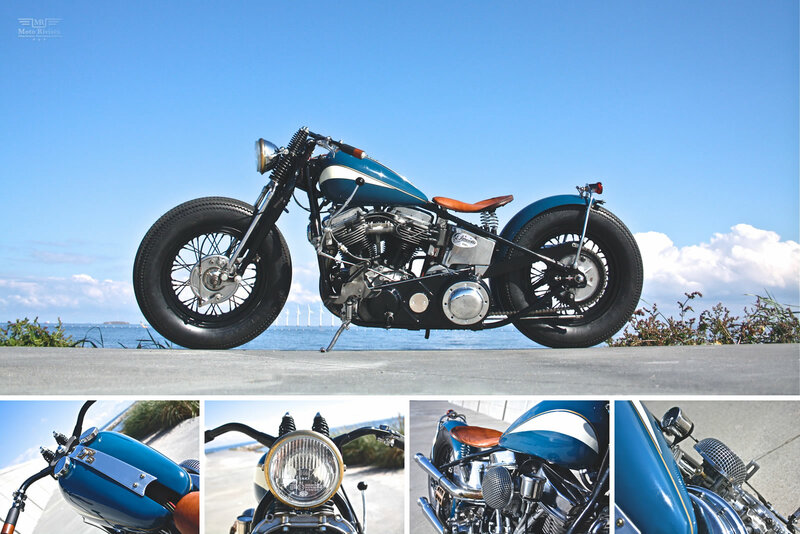 James from Customs from Jamesville has done it again, this time he has created a bold and beautiful 48 Custom Panhead. 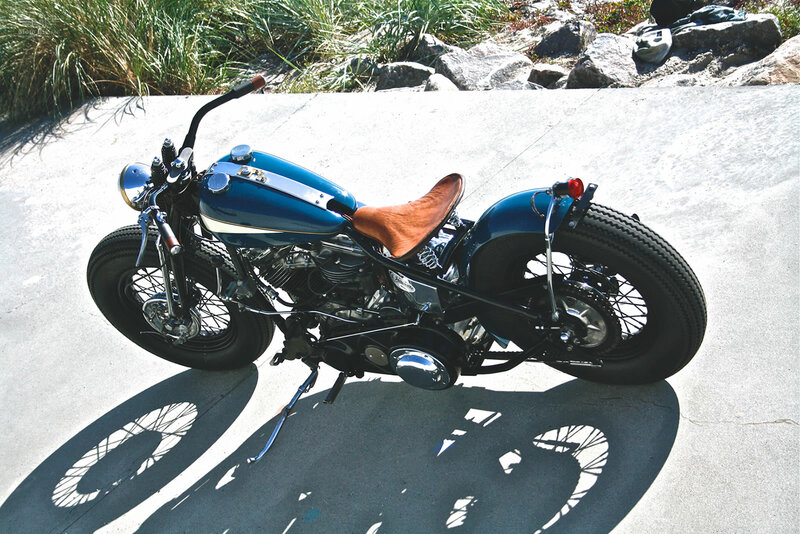 About a year ago I was mad about Sportsters due to their youthful appearance, but now I am crazy for Panheads. It’s not a midlife crises or anything like that although I am getting old! My passion for motorcycles will never die; no matter how old I get my heart will do it’s best to race that engine. 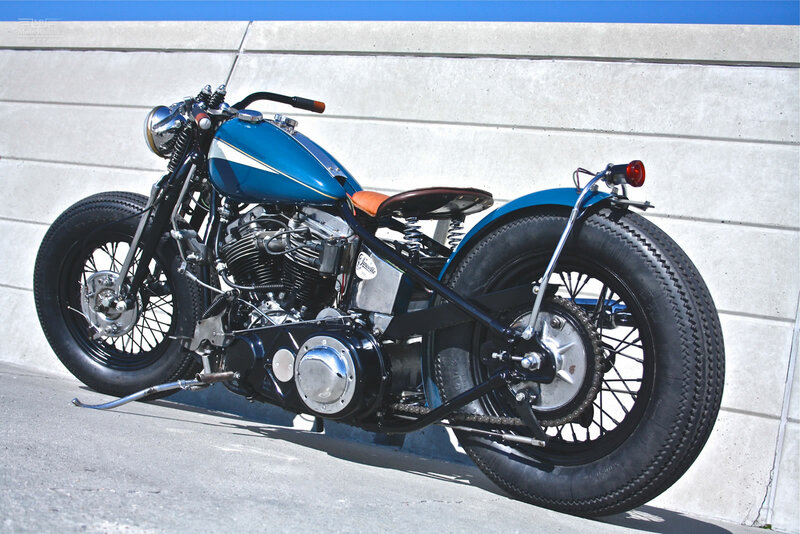 To jog your memory, the Panhead was the replacement for the Knuckle. 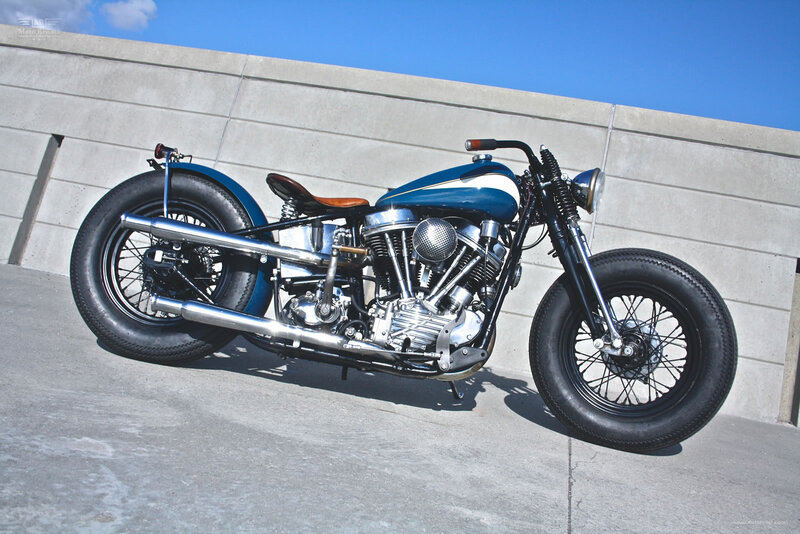 The short lived production of the Knucklehead left the motorcycle enthusiast disappointed, but the Panhead did a good job to fulfill the expectation of Harley’s enthusiasts. 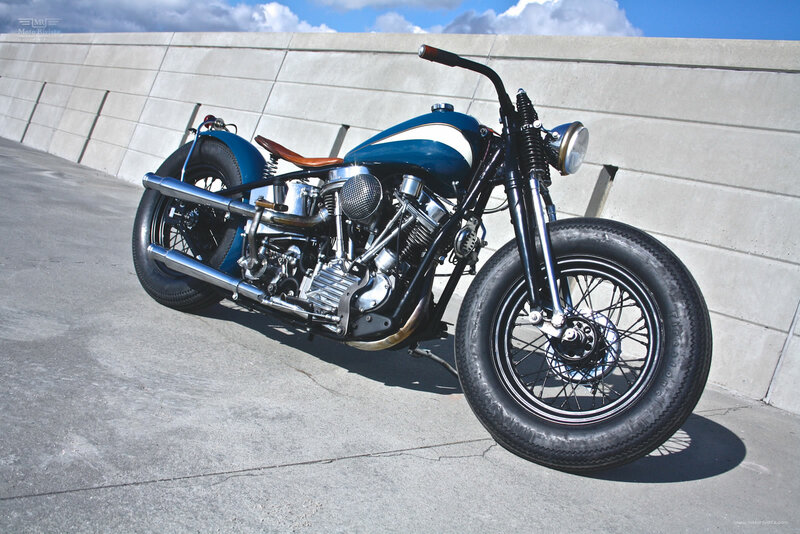 Panhead’s production ran from 1948 to 1965, I don’t know how many Panhead’s were produced between those years, but what I know for sure is in the near future it will be hard to find a Panhead for custom projects. James’s custom crafts have far more reach than his native country Denmark. 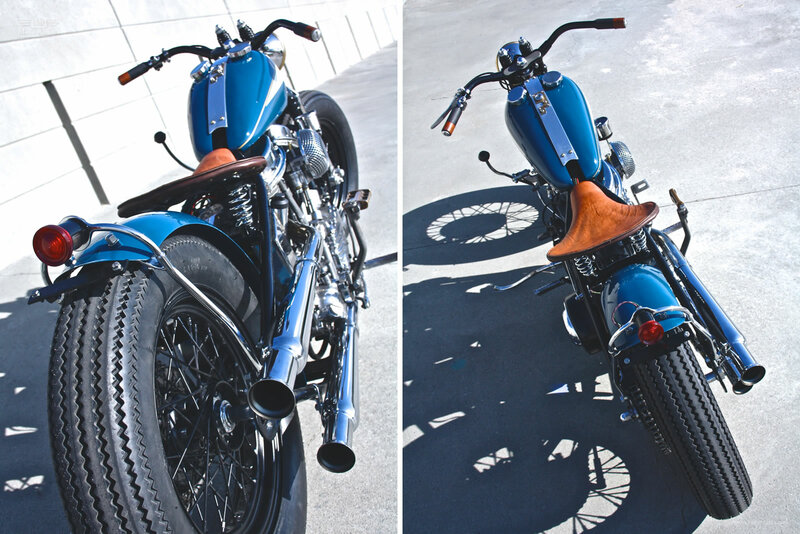 This 48 custom Panhead was commissioned by Andrei from Germany. On this build the Panhead engine gives us the glimpse of it’s prestigious heritage, whilst the customization work from James takes this Panhead to the whole new level. According to James “ The bike was sold as a running bike, but it was far from that. To start with the rear piston pin had become loose which created two huge grooves up the cylinder wall and the main bearing was destroyed. Lets just say the engine needed a complete re-build. Every bushing and bearing on the whole bike needed to be replaced from the forks to the wheels, a complete brake rebuild front and rear and the rear fork leg had a 6’’ crack which I decided to replace to be safe. The original HD frame had 36 unoriginal holes drilled into it, which were all welded closed. After that and a whole lot more was done, the fun could begin. I fabricated a new set of bars from the old ones, which were so wide I could not fit them through my shop door, the 3 ½ gallon tanks were narrowed, then pulled back and raised on the frame. A blanking panel was made out of aluminum, which houses the ignition switch and warning lights. 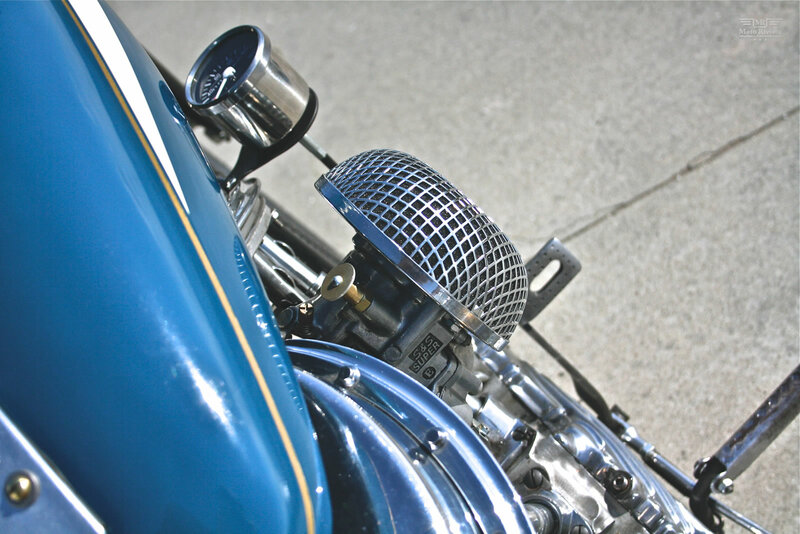 The rear fender was fabricated out of a 1930’s Ford spare wheel cover, and a mini sissy bar was created and chromed to hold the vintage rear light. 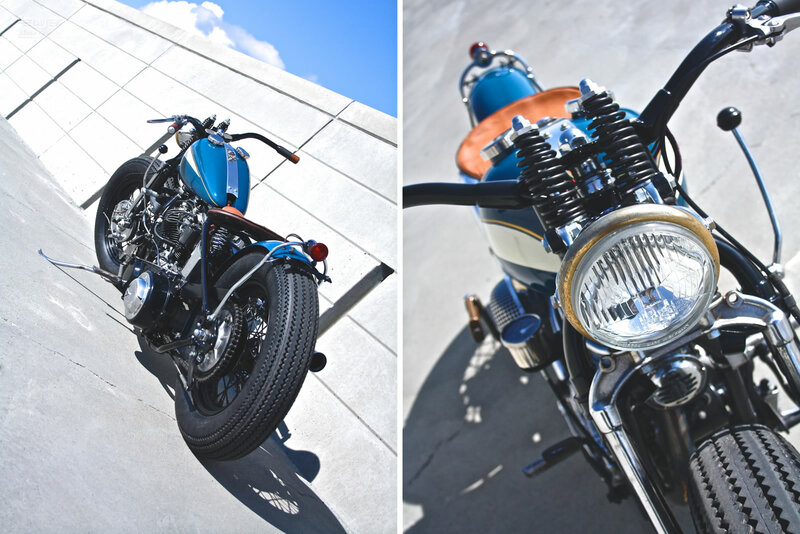 I chopped down the straight exhaust pipes and added some trumpet style mufflers, which now sounds glorious. All the foot controls and brake brackets were dechromed and Parkerized, a process that was used on metal parts before chroming was available. And it was converted into a foot clutch with a police sifter. After everything was fabricated it was time for paint, Andrei chose beautiful petroleum blue, which for some reason just does not come through in photographs. The whole bike was wired using vintage style cloth wiring and connects all the brand new electrical components together, best of the best to avoid unwanted roadside breakdowns. Finally I chopped down the original seat pan and it was covered with new tan leather, well it’s not that new as it came from an old suitcase. Andrei’s first visit to my shop was when he came to collect the bike and we didn’t really email or talk on the phone that much. He said he trusted me to build him his dream bike and he did not want to interfere, I would like to thank him for letting me do so”. Every detail of this custom Panhead has been well executed, if anything this build shows us that you can still be vintage and yet look much cooler than any modern bike. The time is ticking and the Panheads are disappearing like dinosaurs! If you want one now is the time to start looking, and if your in Europe don't forget to drop by at Customs from Jamesville.